Where can you buy the "BEST" Greenhouse Covering Material for a Greenhouse Covering? Here! 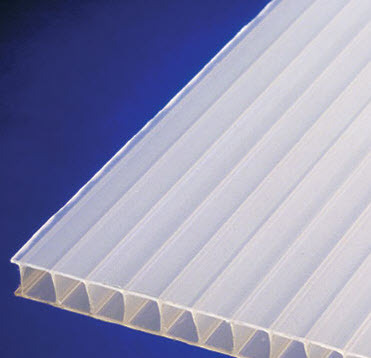 6 mil plastic sheets- some people use 6 mil poly for their greenhouse covering. Its greatest asset is its economical. It will get you by. But if you have a bad storm and it gets damaged in any way, you must recover you structure and potentially sustain crop damage. Twin wall polycarbonate- Proponents of this greenhouse cover say it's impact resistant, attractive, and will not yellow. The down side is the cost, how easily it scratches, and is difficult to cut. Glass- its gorgeous, offers longevity and is traditional but it lacks thermal efficiency and may burn some plants. Reinforced plastic- stands up to wind but only lasts 4 years in most cases and manufactures (as of this writing) are not offering a guarantee. Polyvinyl Plastic- Not uses so much any more, but this plastic is a little stronger than 6 mil plastic but after 3 years it will turn brittle and break. SolaWrap™ Films....please see this page for all the attributes that have growers coming on board. (Yes the film with the bubbles! )The downside to Solawrap is the cost- but, factor in your labor, and the fact that you may never have to recover your house again- and then ask your self if the cost of the film is really a factor. How do you define"Best Greenhouse Film" Which do you think is best? Price? 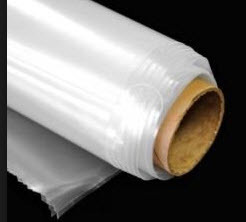 If a low cost film is what your are looking for, then 6 mil plastic films will be the "best" greenhouse film due to its relatively low initial cost. What you save in the initial film investment you will lose in labor cost. 6 mil greenhouse film will not last very long, and may not come with much is any of a guarantee. You will be replacing that film due to aging from the sun, or a storm ripping a hole in the film. Energy Considerations: The price of heating and cooling your greenhouse is the second biggest expense beside the labor of building and covering your greenhouse. Which covering offers the best heating and cooling R-value? UV Lifespan: For the plastic films, how much do you value having a UV guarantee. Solawrap offers a 10 year full warranty. Do other plastic films offer this warranty? The big secret is...SolaWrap has been going strong in Europe on the same houses for over 30 years! Brute strength: What is the best greenhouse covering when it comes to wind, hail and snow load? If this is important to you compare Solawrap to the others. We think you will find it to be the best across many of these categories. Labor for replacing the coverings: Should your greenhouse covering be damaged by a bad storm or damage to the covering- which greenhouse covering is the best in offering you a cost saving to do a repair? Most greenhouse films will require you to recover the entire structure. SolaWrap is built in strips, so in the unlikely event there is damage to the cover, you will only be replacing a 4', 5', or 6" section- not the whole structure. Bottom line is that there are the above considerations and more when deciding on selecting a greenhouse covering for your structure. Talk to us directly at 769.597.9298 to learn more. 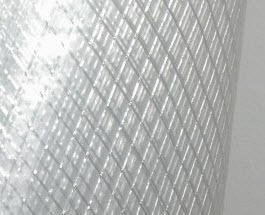 What is your opinion of ETFE as a greenhouse film? What is difference between ETFE and SolaWrap? Find out here!